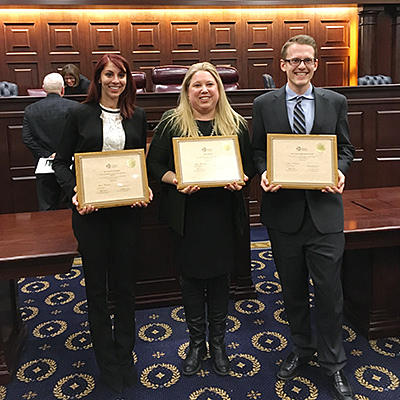 Brittany Kaplan ’19 (left) and Evan Kline-Wedeen ’18, pictured here with their coach Ashly Boesche '04 (center), won the 2018 Saul Lefkowitz Moot Court Competition, sponsored by the International Trademark Association. Along with their first-place finish, the team earned the first-place award for best oral argument and the second-place award for best brief. The University of California, Berkeley, School of Law finished in second place overall, and UCLA School of Law received the second-place best oral argument award. Second-year student Brittany Kaplan earned an M.S. degree in journalism from Northwestern University and a B.A. degree in journalism from Michigan State University. Third-year student Evan Kline-Wedeen graduated with a B.S. degree in bioengineering from the University of Illinois at Chicago. Established in 1990 by the International Trademark Association, the competition is named for the late Saul Lefkowitz, former chairman of the Trademark Trial and Appeal Board of the U.S. Patent and Trademark Office, to honor his contributions to the development of trademark law and to the education of the trademark bar. Chicago-Kent alumna Dolores K. Hanna ’52, an influential trademark attorney, was instrumental in establishing the competition. The best brief award is named in her honor. Teams from Chicago-Kent placed second in the national competition in 2016 and finished in fourth place in 2014 and 2017. Chicago-Kent currently offers a J.D. certificate program in intellectual property law and in 2002 became the first American law school to offer a one-year LL.M. degree in international intellectual property law. 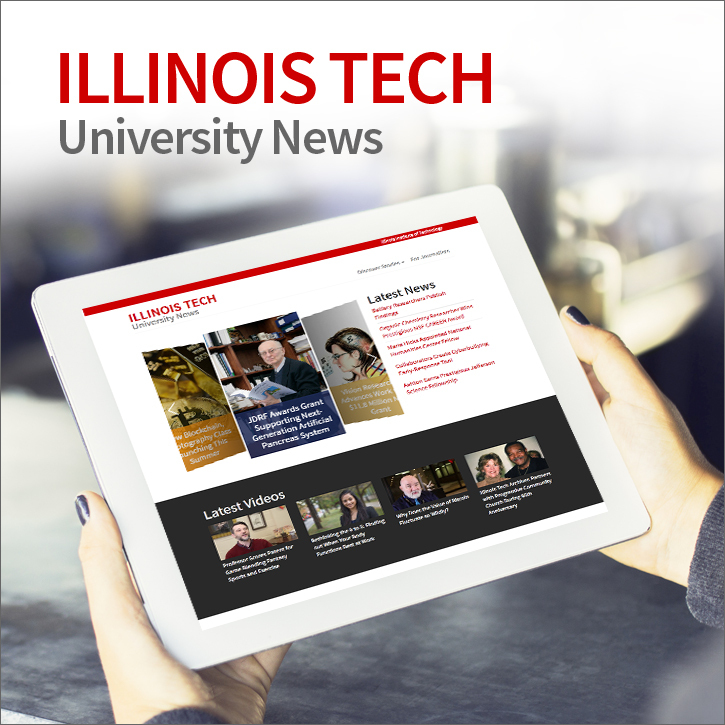 Chicago Kent's Program in Intellectual Property Law is currently ranked first in the country by Law Street Media.